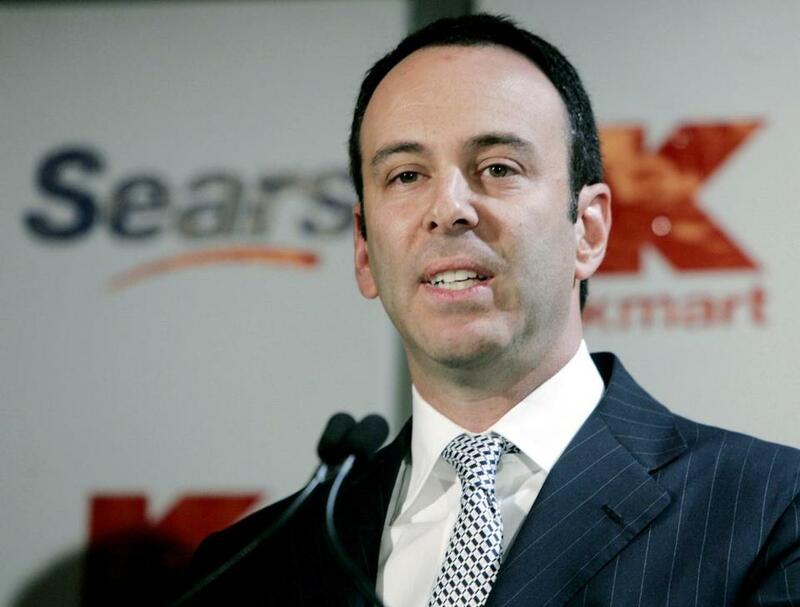 Sears owner Eddie Lampert has been using his own money to keep the retail chain afloat. NEW YORK — The long goodbye for America’s most iconic retailer inches closer to an ending. Sears Holdings Corp., the struggling US chain owned by hedge fund manager Eddie Lampert, is preparing for a bankruptcy filing as soon as Sunday, according to a person familiar with the plan. The company faces a critical debt maturity next week. The plan to file for Chapter 11 protection is a rebuff to Lampert, whose fund, ESL Investments Inc., is the retailer’s biggest equity holder and a major debt holder. For weeks, ESL had been pushing a debt restructuring proposal that would avoid a bankruptcy filing. The company is now focused on securing financing that would fund operations through bankruptcy, said the person, who asked not to be identified because the discussions are private. Representatives from Sears and ESL didn’t immediately return requests for comment. Sears shares traded for as low as 35 cents in New York, a 94 percent drop in the past year. The future of Sears’s 89,000 employees — down from 246,000 in 2013 — remains unclear. The company has taken a number of steps in recent days to prepare for a filing. It hired boutique advisory firm M-III Partners LLC, the Wall Street Journal reported late Tuesday, citing people familiar with the situation it didn’t identify. The company separately said it named restructuring expert Alan Carr to its board of directors. CNBC earlier reported that the company was arranging a bankruptcy loan, known as debtor-in-possession financing. Sears faces $134 million of debt maturing on Oct. 15. ESL said in a filing last month that the borrowings coming due were among those creating “significant near-term liquidity constraints” for the company. ESL proposed last month for Sears to refinance its debt and sell real estate to help pay down borrowings. Lampert’s restructuring plan received no support from other creditors, who saw it as a maneuver for ESL to be paid for Sears’s real estate, according to a person with direct knowledge who asked not to be named. After what happened with Toys R Us, distressed debt investors are steering clear, the person said. Toys R Us, once a leading US retail chain, filed for bankruptcy protection in September 2017. In January, the company said it would liquidate many of its stores — a fate many Sears creditors say they want to avoid. Fairholme Capital Management, TPG Specialty Lending and Guggenheim Partners LLC have been among Sears’s creditors, according to data compiled by Bloomberg. The fate of satellite companies, such as Sears Hometown Stores and the Kenmore appliance brand, remains up in the air. Lambert has proposed a sale of Kenmore to ESL Investments. Shares of Seritage Growth Properties, the real estate investment trust that counts Sears as its biggest tenant, dropped as much 10 percent after reports of Sears’s possible bankruptcy filing. Beginning as a Minneapolis watch company in 1886, Sears rocketed to fame and fortune as a mail-order business at the end of the 19th century. As Sears, Roebuck & Co., the company sold a “Stradivarius model violin” for $6.10 and an $8 brass banquet lamp for $2.30. By the late 1920s, a new Sears store opened on average one every other business day. Recent history is more checkered as Sears dealt with the fluctuating popularity of malls and the ease of online shopping. Lampert, 56, helped engineer a merger with Kmart in 2005 and in 2013 he became the company’s chairman and chief executive officer. The chain went from 863 mall-based stores and an additional 1,200 retail locations in 2000 to about 500 today. Sears Canada Inc. liquidated exactly one year ago. About 12,000 people lost their jobs. Lampert was Sears Canada’s biggest shareholder and partially spun off the company from its parent in 2012.